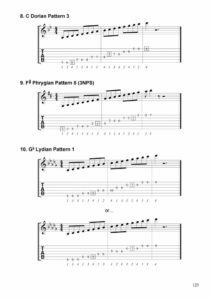 3-Shape Fretboard is for intermediate to advanced guitarists interested in learning how to work out guitar scales & arpeggios for themselves. 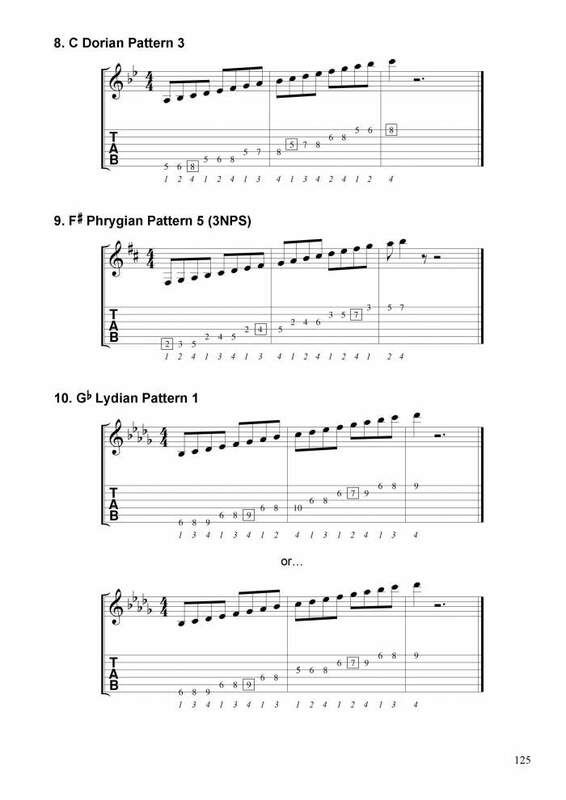 Creating scales & arpeggios yourself can give a better understanding, while knowing the logic behind them can make them more meaningful and easier to learn. "I think the 3 pattern approach is very interesting and well documented. There is lot’s of good material and I like the approach. Very well organised, complete and clear with plenty of diagrams." 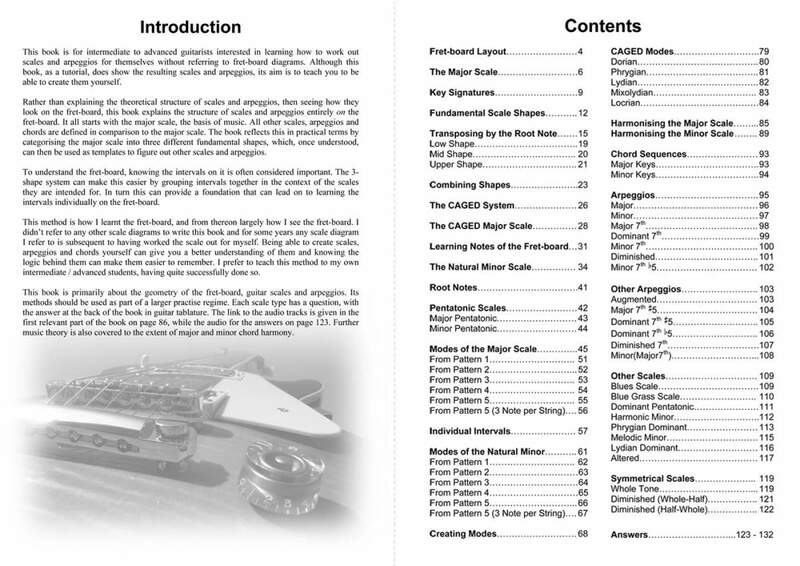 "There is clear evidence of many hours of dedication, organization, and piece-by-piece construction resulting in a detailed and extremely practical guitar instruction / reference manual. 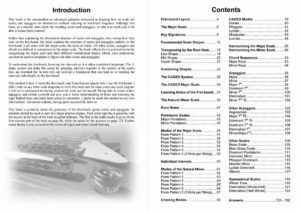 Be forewarned – you will not digest this in a day or two.....a wealth of information and a unique, pattern-based key that will open the door to endless musical possibilities. You only have to invest the time in order to earn the key that will allow passage." 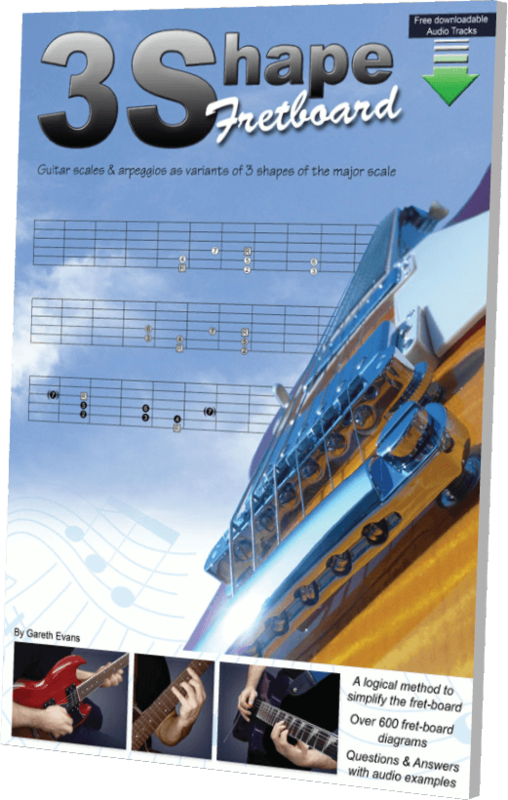 All other scales and arpeggios are defined in comparison to the major scale. 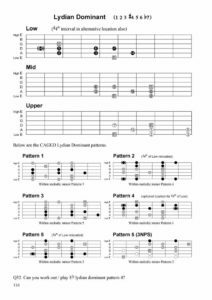 This is reflected in practical terms by categorising the major scale into 3 different fundamental shapes, which can be used as templates. 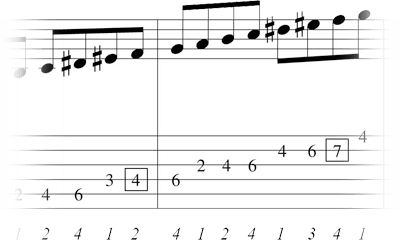 Once understood, the 3 fundamental major scales for guitar can be altered to make other scales according to whichever other scale you are making. Arpeggios too. The 3 shape system can be used to explain the logic behind the CAGED system, breaking it down into single octave components. 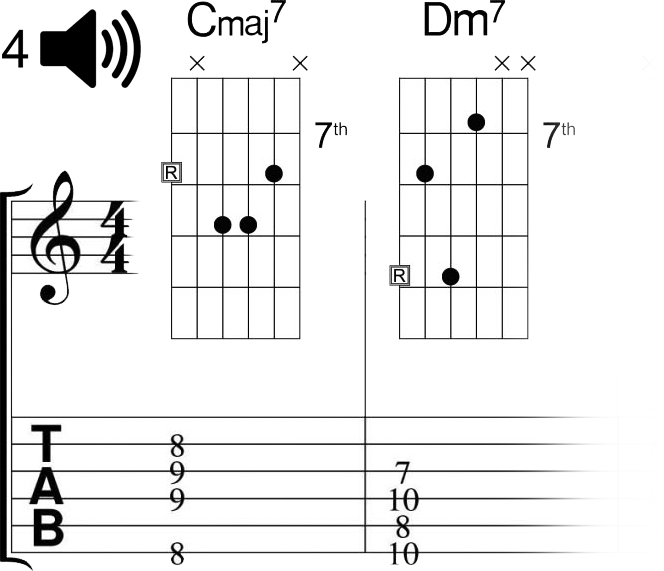 For example; 5 CAGED major scale shapes each containing between 15 to 18 notes, can be seen as just 2 shapes of only 7 notes that are joined end to end. 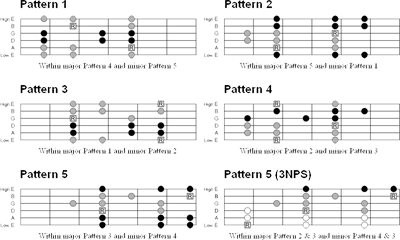 Fretboard diagrams are shade coded with Black, Grey and White to distinguish between the 3 shapes and other scales that derive from them. 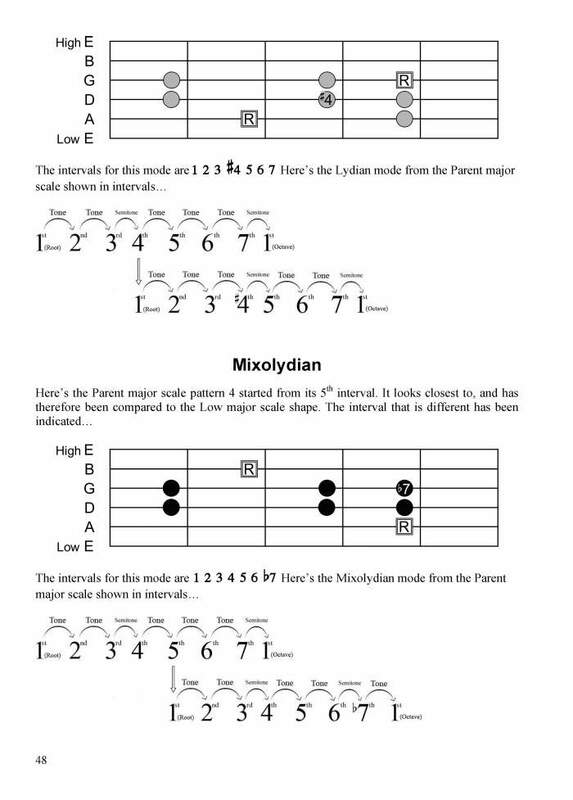 Modes can be learnt directly on the fretboard by being compared to the fundamental major scale shapes in order to identify the differences, and therefore the unique structure of each mode. 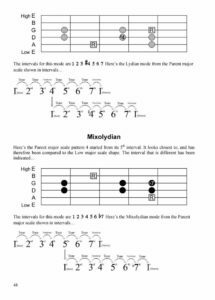 Major, minor, pentatonics, Harmonic minor, Phrygian Dominant, Melodic minor and many more (for a full idea view the contents page above). All presented in terms of the 3 Shape system. 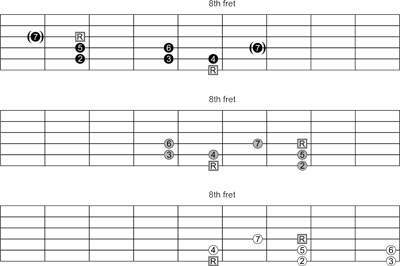 The basic reasoning behind how chords are arranged in music is explained for major and minor keys, after which, musical examples of chord sequences are given. 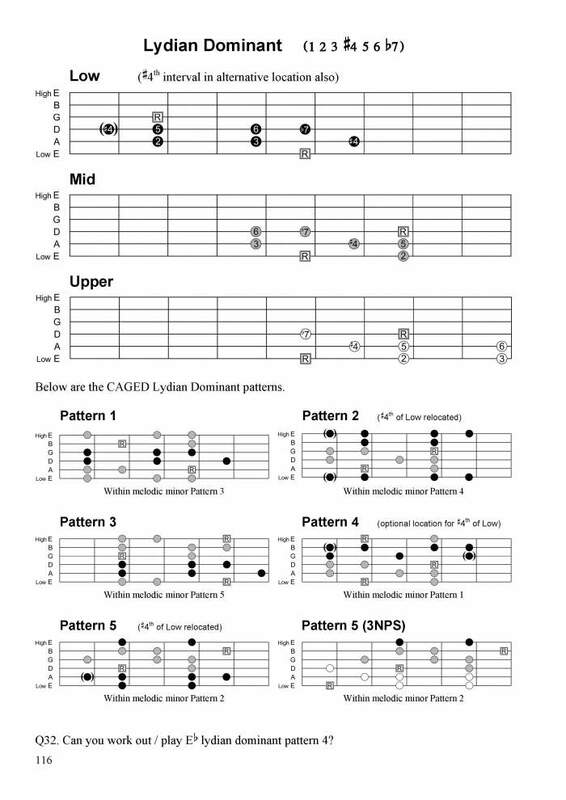 Also see the CAGED system applied to chords, and how basic major and minor chords are formed from within scales. Every scale and arpeggio type has a question to test yourself. 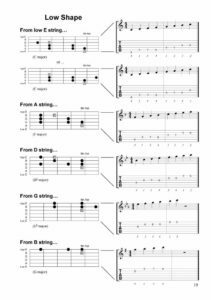 Find the root note, apply the scale shape then check the answer written in guitar tablature at the back of 3 Shape Fretboard. 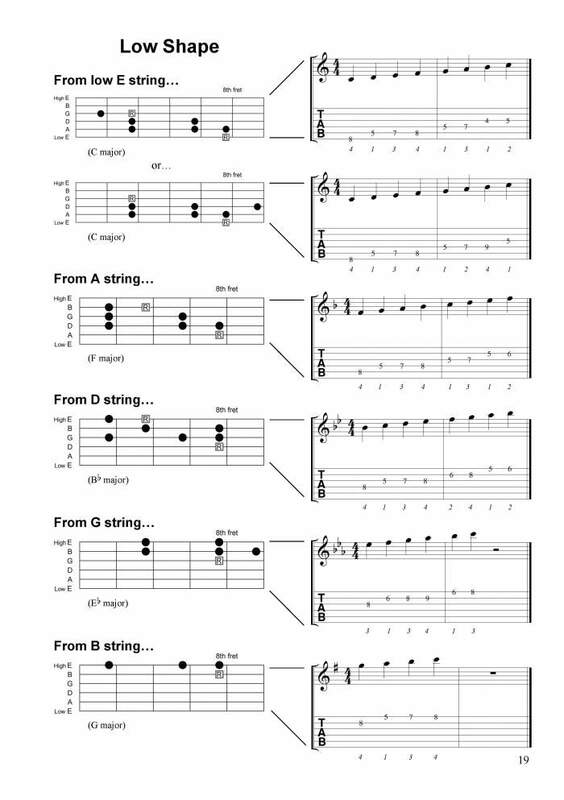 The answers also include fretting finger guide numbers written underneath the tabs.